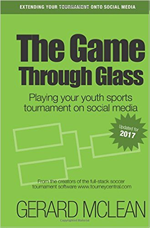 This is part of a series on Social Media for Soccer Tournaments. We encourage you to read all the articles below. As social media changes and evolves, we’ll add more content here to keep you up-to-date. Copyright © 2019 TourneyCentral, a Rivershark Inc Brand.